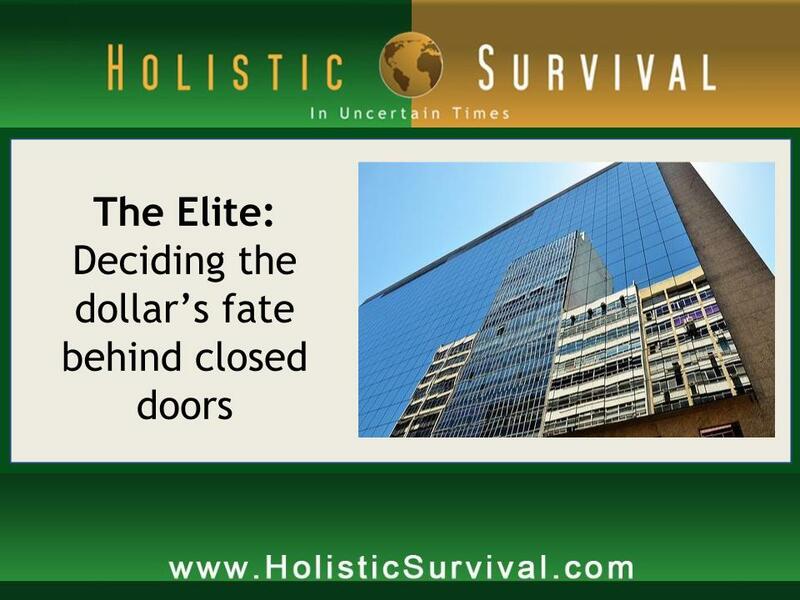 Jason Hartman is joined by Pastor Lindsey Williams to share his experiences from members of the Elite, a group of very wealthy people around the world that are said to be behind the orchestration of the global financial crisis for the inception of a one-world currency. He describes the “ethical” code of the Elite and ways that they attempt to get the word out to people before situations happen, particularly through the use of media. Signals that Pastor Williams was to watch for were a crack in the derivative market, which goes unregulated and in May 2012, J.P. Morgan lost $5 billion on derivative trading and $25 billion in share losses; currency wars that began with China saying they will allow a 0.5% – 1% increase in their currency; trade wars in which countries bypass the American dollar; and an increase in interest rates. For more of Pastor Williams’ claims, visit: www.HolisticSurvival.com. Pastor Williams emphasizes the need to secure assets now and be aware of all that is going on around the world. One step is to trade our worthless paper money for gold and silver. Announcer: What’s great about the shows you’ll find on JasonHartman.com is if you want to learn about investing in and managing income properties for college students, there’s a show for that. If you want to learn how to get noticed online and in social media, there’s a show for that. If you want to save on life’s largest expense, there’s a show for that. And if you’d like to know about America’s crime of the century, there’s even a show for that. Yep, there’s a show for just about anything. Only from Jasonhartman.com. Or type in Jason Hartman in the iTunes store. Jason Hartman: It’s my pleasure to welcome Chaplain Lindsey Williams to the show. 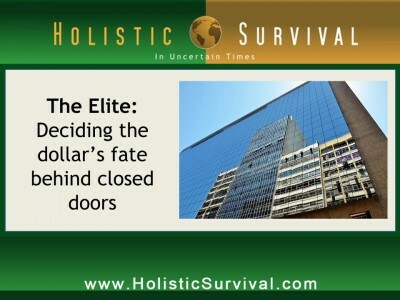 He is a Baptist minister and has shared a lot of information on various radio programs about the potential collapse of the dollar and how the whole collapse may be orchestrated. Lindsey welcome. How are you today? Lindsey Williams: It is a privilege to be with you today Jason. Thank you so very much for allowing me to be here. These are such critical times. Jason Hartman: Yeah and thank you for talking about this very important and critical subject. So, let’s start off talking about derivatives. JP Morgan is in the news all the time. At first we heard on their last round of malfeasance, they lost a billion dollars and then it kept going up in the days following to more and more billions. But hey, what’s a billion here or there, right? This is just insanity what goes on on Wall St. what’s going on there, and let’s get into it and talk about currency and so forth. Lindsey Williams: Well Jason, since this is the first opportunity I’ve had the privilege of being on your show, very briefly, people will not be able to understand I believe what I’m saying. Some of it may be so unusual, unless they know a little of my background. Many years ago I was invited, by the providence of God may I say, to be invited to be the chaplain to the elited world. And for three years’ time I literally lived with the people that you hear about in the World Bank, The IMF, the top oil company officials of the world. I’ve been the pastor of a church 12 years prior to that, and it changed my life the experience that I had. And if anyone has ever doubted, don’t ever anymore. There positively is a group of people on the face of the earth who control the world. I know. I lived with them. Now that was 35 years ago. Today these people are retired. They’re in their 70s and 80s; I still keep in touch with them. They know everything that goes on behind closed doors before it ever happens. And over these years, they have picked up the phone, called me and said chaplain this is going to happen in the next six months, in the next three months, in the next month. And I have dared to go on radio shows across America and tell it; every time without exception it has happened exactly as they said it. Recently one of these individuals said to me, Chaplain, this is going to happen. He says, it positively is inevitable. It’s not whether it’s going to happen or not, but it’s when it’s going to happen. He said I would like to tell you how to spare your household heart ache and keep food on your table. He said, if you know the issues in advance, he said you can be protected. Now, people often ask me, why would they tell you this? Well, many of those people that I lived with back in those days never came in contact with a minister of the gospel before. You keep in mind, you’re talking about the super wealthy of the world. And as a result, I think out of courtesy, maybe a respect for the fact that I gave three years of my life to be their chaplain, they tell me things and he said Chaplain, I’d like to tell you how to know a few months in advance before the collapse is going to take place. I said, it is going to take place? He said yes; positively. There’s no question about that. But he said, you need to protect your household. So, first of all may I tell you what he said don’t watch. He said to me, he said Chaplain, don’t pay any attention whatsoever to Wall St. and New York stock market. He said it means nothing. Jason Hartman: Let me ask you a question there, just before you move on. I want to hear what you’re going to say there, but first of all, what I really wonder about is two things. Number one, who are the people? Can you name any names? I mean, is it the Rockefellers? If you’ll care to name any names, I’m sure everybody would love to hear them. But also, if they know you’re out talking about it, I can see why they might tell you at first, because I can understand that friendship. But after they know that you’re out talking about it, wouldn’t they clam up right away? Lindsey Williams: There are some things that I learned when I lived with the elite, and that is that they do have a more ethical code. That was surprising. And you would wonder how they do whenever they control governments and people and currencies, but they do. And one of the facets of their ethic code, or moral code if you might want to call it is, they feel obligated to tell the world what they’re going to do before they do it. Now they do it in many different ways. Often times they’ll tell you through a Hollywood movie. It’s just that the average person doesn’t know how to discern what I call their buzz words. I’ve written 4 books attempting to help people understand the mindset of the elite while they think and do what they do. And until a person understands their mindset, their buzz words, it’s very difficult to understand how these people accomplish what they accomplish. So I’ve learned over the years to listen to, well first of all, Hollywood is their perversion. The national liberal media is their mouthpiece and if you know how to listen to what they’re saying, often times they will tell me things…they don’t say, don’t say it. And as a result I feel a moral obligation to tell the world what I know in order to spare great heartache to your household. Jason Hartman: So, what are some of those clues and buzz words that they’re telling us now? Lindsey Williams: Well, I have to get into a different subject besides finance all together to give you some buzz words you’ve heard in just the last few days. A lot of buzz words have to do with this election we’re going through right now. And I’m not going to get on the presidential election. I will not tell you who’s going to be elected and not be elected. I won’t get into that subject at all. But I know that you’ve noticed a number of things that the elite have been doing. First of all, they allowed a movie to hit the screen in the last few weeks entitled Obama’s 2016. They would never have allowed that except under certain circumstances. Again, there was a Harvard professor last week that wrote a scathing article about mister Obama. That would have never been allowed if the elite had not ordered it to be that way. There are many things that you should be able to see in relation to their buzz words. I don’t know how to give others, but those would be so current that you can understand what they’re saying. Now, let’s get back to finances if we can. Because the presidential election is not what I’d like to cover today, even though I know a lot of things that would be of interest to your listening audience that they’ve told me just recently. They said to me Chaplain, don’t pay any attention to Wall St. they said it means nothing. They said the Plunge Protection Team controls it every day. They said anyone who waits until the stock market has crashed; he said they’ve lost everything. He said you can’t wait that long to do something about your assets and securing your assets. He said secondly, don’t pay any attention to the Euro and the European union. He said Chaplain, if you wait until the Euro collapses and he said it’s going to, he said but not right now. But if you wait until that happens, it’s too late. You’ve lost it. I said, well what do you watch? Now, when he said the word, I didn’t even know what it meant. This was some while back and I had to do a crash course. He said Chaplain, the signal for the collapse of the currencies of the world, is when you see a crack come in the derivative market. Only at the time, I hardly knew what derivatives were. Hardly knew how to spell the word; had to go to the dictionary. I said, what do you mean? How can I know? He said that’s right. You can know months in advance. Well, they put me in touch with an individual who is a Wall St. insider. I called him, made quite a friendship with him. And he said Chaplain, years ago I was a young man on Wall St. over thirty years ago. And he said, my superiors came to me and said, we want you to begin to sell derivatives worldwide. He said, I didn’t even know what they were. They were just developing the derivative market. Later, one of the very people that I met when I was the chaplain amongst the elite, came to him, he named him. And he said to him, this gentleman on Wall St., he said we are developing the group derivative market for the purpose of whenever we get ready to bring about a collapse of currency, we can use it to do it. Now that was over 35 years ago. Today, the derivative market is over one quadrillion, so it’s estimated as. And there is nothing controlling it. The derivative market has no rules or regulation from congress. Numbers of times, bills have tried to get through congress to control the derivative market. Every time, the elite see to it that it’s not done. Because whenever the derivative market cracks, it is an indication. Now, I’ll give you three items that they gave me. He said, Chaplain, you can know before the financial collapse takes place, by when the crack comes to the derivative market. They said you will know it by three things. Number one: watch for currency wars. And I didn’t have the slightest idea at the time what a currency war was. Let me give you an example. I’ll give you a date. You need to go back and see this for yourself. On April the 14th of 2012, China said, the average person’s heard this; it was even on the national news, but they probably never picked up on the buzz words. To me, it stood out like a light. China said we’re going to allow all currency to float from .5 to 1% against the American dollar. Now to the average person it would mean nothing. .5 to 1%, that is a 100% increase in the currency. Do your realize if they allowed the Chinese currency to float to 1% against the American dollar compared to .5, how it is today, that everything in Walmart and Target would cost double what it is right now on their shelves? This is what is known as a currency war. Now that was only a threat back in April. China hasn’t done it yet but they could any time they want to. Jason Hartman: Right, but you’ve got to ask yourself one thing on that though, if China does that it’ll dramatically reduce their export business. They have been accused of abusing the system by artificially suppressing their currency. Which we all know they’re doing. Many countries want them to let their currency float. That’s one of the things that other countries are upset about because they want to be able to compete for effectively with China for exports. There are kind of two sides to that; I just wanted to point that out. Lindsey Williams: I wonder if people out in the listening audience, that are listening to this, I wonder if they have wondered why QE3 was not announced at Jackson Hole the other day by the Chairman of the Federal Reserve. They can’t. You heard me correctly. As my elite friends were telling me this: QE3 could be one of the most dangerous things that the Federal Reserve ever did. Let me try to explain. And in order to do it, I’ll express again a currency war. Back on April 11th of 2012, the Brazilian president, Dilma Rousseff came to Washington and met with all the presidents. When she was there, you can find parts of the text of what they conversed about on the internet. And she basically said, Mister President, don’t you dare allow QE3 to take place. And she went on to say, you have a federal reserve; we don’t. We can’t regulate our currencies like you can. She said, if you want to start a currency war, you just go ahead and put in QE3. The federal reserve has been scared to death. If you could really see in Bernanke’s mind right now, you would know that this man is walking on the edge of a precipice that probably scared the daylights out of him. He’s got to initiate QE3. We have no choice. Our economy is in such condition. On the other hand, he can’t initiate QE3 because if he did, he’s going to bring the world down on American currency. Brics, that is the Brazil, Russia, India, China, and South Africa group; they have already threatened that they won’t use the American dollar anymore. This morning, right now, while you are listening to this program, something so historic, more historic than the democratic convention, I’ll guarantee you. More historic than the president’s speech tonight. Right now today, for the first time ever in the history of the American dollar, the first oral trade is being made using another currency besides the American dollar, which has always been the petrodollar. And right now, right this second, China today is using their currency and says that they’re going to do it with numbers [0:15:25.5]. Can you imagine the amount of dollars that will be floating around the world that nobody wants, that are utterly useless, that are going to be returned home to the Federal Reserve because the petrodollar no longer is handling billions and billions of dollars of petro oil sales day after day. And today set the precedence for the first time in history that the American dollar, rather some other currency, has been used. This is known as a currency war. They said secondly, Chaplain, the second way that you’ll know when a crack comes in the derivative market is when you see trade wars. Now, trade war; let me explain one. It took place in February of 2012. The two nations China and Japan; China of course is the second largest economy in the world, Japan is the third. And China and Japan signed the largest trade agreement ever signed by two nations in the history of the world in February of 2012. And they say, we will buy and sell and trade each other’s goods amongst ourselves and we will not use the American dollar for the sale and trade of those goods. Can you image the billions of dollars’ worth of currency that is no longer needed because now they’re using their own currencies and this currency is coming back home. I was told a while back, by the end of 2012 the dollar will be dead. Now, please. You must understand what these people are saying. I have to watch the words very carefully that they say. They did not tell me that the dollar would be nonexistent. They said the dollar would be dead. The other day on a show, the talk show host said wait a minute, I can still go to the grocery store and the hardware store and buy things with the American dollar. It’s not dead yet. I said yes it is. I said from the time that the currency wars and the trade wars start until the time that they come home and the billions and billions of dollars are returned back that nobody needs any longer, it takes usually about 8-9 months for it to happen; by the end of 2012 the chickens will come home with the roost. And I said, I’ve already been told by my elite to watch the trade wars because now China and Japan don’t need the dollar anymore. Iran, they put sanctions on them, they couldn’t use the petrodollar to sell their 3.5 million barrels of crude oil every 24 hours. India came along and said Iran, we need that oil. But Iran said I can’t sell it to you; can’t use the petrodollar. And they said no problem. We will pay you in our white gold. Iran and India right now, India’s getting one million barrels of crude oil from Iran every day and they’re paying them in gold shipments back to Iran. They bypassed the American dollar. Those millions and billions of American dollars are no longer needed in that trade. What is going to happen to them? They aren’t needed any longer. Jason Hartman: Okay, so may I…I agree. And I know there’s this big push to get rid of the dollar as the reserve currency and I couldn’t agree more that all of the fundamentals point to a dollar collapse. The problem is…there’s just one issue here and it’s a major one, is that the US every time some country tries to do that, the US puts massive pressure on them. Iran is basically an outlaw nation. They’ve vilified them, maybe rightfully, maybe wrong, I don’t know for sure. Nobody really knows. Maybe you do because you’re talking to the people who really know. But the US government will put so much pressure on these countries either through force with the military or through the economic hit men like John Perkins. And all of the ways that they manipulate the system to kick the can down the road and make them use the dollar. The US will be very upset about any transactions that aren’t using the reserve currency, the dollar. And I can understand these other countries not wanting to. The dollar is managed so poorly. It’s just a disaster. The kind of government spending we have; there’s just complete irresponsibility here. You can’t blame them for wanting to use different currencies, can you? Lindsey Williams: The first of this year you were seeing so many of the financial newsletters everywhere saying, there’s going to be a crash! You can expect to crash in 2012. I looked to my elitist friend and I asked him the question, I said am I free to say that there’s going to be a crash this year? He said, Chaplain, don’t. He said, I guarantee you there’s not going to be any financial collapse the first 6 months of 2012. I went on radio shows all over America. My favorite newsletter writers were saying you can expect a collapse by April and I said no, there’s not going to be a collapse but I’ll tell you what there’s going to be. And they told me why. They said, Chaplain, we are intentionally postponing the collapse of the currency. It should have collapsed at the end of president Bush’s last term. They brought in QE1 and stopped it from happening. You recognize this. And then they brought in QE2. And they said to me, we are not going to allow it to collapse in the very near future. And I said why not? They said we are intentionally creating massive debt. And they said we’re going to continue to do it in every country in the world until we have everyone so obligated that whenever we get ready to bring in our new world order and our new currency, we basically will hold everyone in such a position. And I’ll give you an example. Jason Hartman: Everyone will be a debt slave hostage, right? Lindsey Williams: Well a good illustration is Greece and they told me after it happened. Greece, they were right on the verge of collapse. And all the newsletter writers – these are friends of mine, some of them – all these newsletter writers are saying, when Greece collapses, the euro is going to go, the European Union is going to collapse. And I looked to my elitist friend and I said, what about the collapse of Greece? Is it going to bring the collapse of the Euro? He just chuckled and he said no, chaplain. You don’t understand. I said, come on and help me understand then. He said, there are Greek bonds that are keeping Greece afloat right now. He said, who do you think is buying them? I said, nobody in their right mind. There’s no way they’ll ever get paid back even with the high interest rate that they’re giving. He said you’re right, but do you know who’s buying them? I said no – he said we are. The elite are buying them. I said you? You’re supposed to know what you’re doing. You are buying Greek bonds and you know you’ll never get your money back, not even get the interest on it? He said that’s right. I said why are you doing it? He said Chaplain, whenever we buy the Greek bonds, eventually we will hold so many of them, and not only bonds from Greece, but all those other countries over there in the European union. He said, we are buying the bonds knowing we’ll never get paid back. But he said, whenever we get ready to collapse the currencies of the world, all we have to do is step in and say Greece, you don’t have any choice. Your currency is gone. We own your bonds, we own your banks, we bailed you out and whatever country in the European Union, as real as the United States of America. They are putting every state in America, every city in America, every county in America, this entire country in massive debt. And whenever they get ready to pull the plug on the derivative market, they will be able to step in and say America you have no choice. Greece, you have no choice. We bought your bonds. Italy, France, we bought your bonds. We bailed you out. You have no choice now. Here is our new world currency. Here is the new world order under our auspices. I keep trying to tell people…they ask me sometimes on radio shows. Why would the elite of the world destroy America? I say, you don’t understand their mindset. They aren’t destroying America at all, they are bringing America under their control of the new world order so that they can bring about that which they want to. This is what they’ve expressed to me and when we understand the mindset, Jason, we understand what they’re doing. Jason Hartman: Very, very interesting and scary. So what is the outlook then? Are you convinced that we’ll see a worthless dollar by the end of 2012? That’s just a few months away. Jason Hartman: Well that’s what I mean when I said that, I said a worthless dollar. That’s a significant decline in purchasing power. I guess worthless is a subjective term. Lindsey Williams: In 1966 I took my automobile to the service station. Back then it wasn’t a gas station, it was a service station. They washed your windshield, checked your tires, raised your hood and checked the oil. I bought gasoline for 35 cents a gallon. It was 4 quarts to the gallon. Today, 2012, I drove my automobile into a gas station. I got out and pumped my own and used my credit card to buy it with, and I paid $4. Jason Hartman: And no one even asked you if you wanted your oil checked or washed your windows, right? Lindsey Williams: No, they could care less. And I paid $4 a gallon. Now, it was 4 quarts to the gallon. The gasoline has no changed one iota, one cent in what you pay for, not one. Since 1966 at 35 cents a gallon, and in 2012 at $4 a gallon, the gasoline still costs the exact same amount in ’66 as it did in 2012, the only difference is in 2012 the currency that you are buying the gasoline with has deteriorated in its purchasing power to the point that it takes $4 worth today to buy what 35 cents would buy in 1966. Oil today was over 1700 dollars an ounce. I remember the day that I could walk into a bank and take a one dollar Federal Reserve note and get one ounce of silver, a silver dollar. Today you go over 30 of those one dollar bills. What’s the difference? The only difference is not the silver or ounce, not one ounce of gold, not one gallon of gasoline which is 4 quarts, it’s the currency that you’re purchasing that with has deteriorated. Now, what you saw happen in Syria this weekend, oh I wish I had a whole hour on your program just to talk about Syria right now. Russia stepped out, Assad is dead. If he had any sense at all, he would leave that country in the quickest jet he could get onto. Why? There are some things happening over there. Every time one of the Middle East countries have chaos injected in through the Muslim brotherhood which they’ll give Syria to now just like they did in Egypt and just like they did in Libya. And every time this happens, you’re going to see 25-50 cents rise in the price of gasoline. Is the gasoline going up? No, the dollar is going down in its purchasing power. By the end of the year, you will be wanting another currency. And shortly, whenever the Elite are ready, they will have you begging when your children are crying for food. You’ll be begging to give up your American dollars and to accept the new world order currency, which they already have printed. I’m trying my best. These people have warned me. They said Chaplain, for the sake of your household, these are the things you need to do. Now, I need to give you the last sign because I know we’re running out of time and you need this. They said, there’s a third way to know before the derivative market cracks. They said, whenever you hear that the Federal Reserve is raising interest rates, it’s all over. That’s the final sign. And he said, Chaplain, if you are out of paper of every kind and you haven’t secured your assets by the time you hear that announcement, you’ve lost it all. They said tell anybody you want to and so I’ve tried to on radio shows all over this country to warn people. A 1% rise in interest rates by the Federal Reserve would add 140 billion dollars to the national debt. Jason Hartman: Yeah, very significant, and the only thing the increasing of rates would really help with is financing our debt longer. Because more foreign countries would be willing to buy the debt if it pays a higher yield, but the money is depreciating so quickly that it’s just sort of an impossible equation. Lindsey Williams: Jason, I’m just trying my best to help your listening audience understand what the elite have told me. Understand that I’m not a financial advisor. I don’t have the knowledge you have. All I have is, I know the phone number of the people who are doing it. Now we have just finished producing a 3 ½ hour mini college education on what the elite are doing, everything they’ve told me, we call it The Secrets of the Elite. You watch it on the television set in your home, 3 ½ hours of it. And I decided I had not told it all so just a matter of days ago I produced a CD which you can listen to in your automobile as you travel down the road. So you’ve got this 3 ½ hours of DVDs, an hour and 20 minutes of CD and I urge you to listen to the CD first if you want to know every facet of all of this in minute detail and all they’ve told me, please go if you will, to our prophecyclub.com on the internet, Secrets of the Elite, or you can go to our toll free number, 1-888-799-6111 or again on the web, prophecyclub.com. Jason, you and your listening audience will especially relate to this: About 3, 3 ½ years ago I had one of these individuals of the elite call me and he was angry. He said, Chaplain you’ve said too much. You’ve gone too far. You have to close down your website. He said, we can’t let you do this any longer. He said you do this, this and this or we’re going to do this, this and this. What he said was not very pleasant. From that time on, I did close my website down immediately. I haven’t had one since then. An individual in the United Kingdom just a few days ago set up something, I had nothing to do with it and I hope every elitist hears it when I say this, if you want to go to LindseyWilliams.net, you will be able to get things that I have found within the past hours, within the past 24 hours, they’re posting some things at LindseyWilliams.net. So, Jason, it’s been a privilege to try and help your audience understand that you don’t have to stay awake at night, don’t look behind bushes, there’s no reason whatsoever to look for black helicopters. If you know the issues, you know the mindset of the elite, which we tried to explain to you in the Secrets of the Elite DVD series, you can sleep well at night and you can do what many did in the time of 1929 through 1933 depression. Not everybody stood in the soup line. There were some people that knew it was going to happen and they made great fortunes. You can win over all of this if you know how, Jason. Jason Hartman: I definitely agree. Lindsey Williams, thank you so much for joining us today. I appreciate it. Lindsey Williams: My privilege. Be glad to be with you any time I can, and I think things are going to happen so fast, we may be in touch again. Jason Hartman: Sounds good. Thank you. Narrator: Thank you for joining us today for the Holistic Survival Show. Protecting the people, places and profits you care about in uncertain times. Be sure to listen to our Creating Wealth Show which focuses on exploiting the financial and wealth creation opportunities in today’s economy. Learn more at www.JasonHartman.com or search “Jason Hartman” on iTunes.